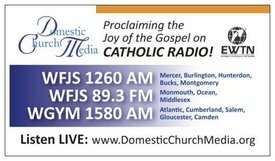 LISTEN TO MONSIGNOR MARINE’S INTERVIEW ON DOMESTIC CHURCH MEDIA! For the last two years, St. Bede parish celebrated its annual Padre Pio Festival the last weekend in June. This year, our festival will be celebrated on Friday, Saturday and Sunday, September 14, 15, 16, 2018. For those of you who are devoted to Padre Pio, you know that this is a special year. For this year marks the 50th Anniversary (on Sept. 23) of his death and the 100th anniversary of the beginning of his reception of the Stigmata, the sharing of the actual wounds of Jesus Christ. We decided to move our festival to the weekend preceding this feast day, so as to be a spiritual and cultural preparation for this historic day. We invite not only our parishioners, but devotees of Padre Pio from throughout the surrounding area to come and join us on our spacious 23-acre parish campus, to be a part of all the festivities. If you do not know anything about Padre Pio and would like to find out more, come to the festival! We are honored to be the official host of the collection of relics of Padre Pio from the Monastery of the Carmelite Sisters of Philadelphia. As Mother Teresa of St. Augustine, the Superior of the Convent said, “This is too precious of a collection of relics to be simply displayed in our convent. We sisters want to be able to share this exhibit with all those who would like to feel closer to this saint of many miracles.” The collection of relics will be on display both on Saturday evening Sept. 15, as well as throughout the morning, afternoon and evening on Sunday, Sept. 16, in our special Padre Pio Chapel. 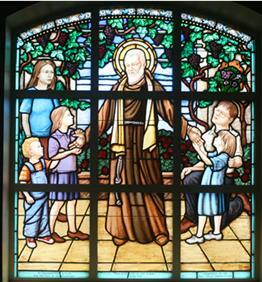 Stained glass window in the Padre Pio Chapel, St. Bede the Venerable Church. Friday night Sept. 14 opens the Padre Pio Festival weekend with a special event for teens and young adults. Led by Fr. Jason Buck, parochial Vicar of St. Eleanor Church in Collegeville, the night will include a youth Holy Hour and social activities. On Saturday Sept. 15 from Noon to 5pm, our Padre Pio weekend will include a “Parish and Community Picnic within a festival.” From 1pm to 5pm, the admission price includes an All-American buffet catered by McCafferty’s Market, as well as several free attractions and live entertainment for children and adults. Playing from 2:30pm to 4:30pm will be the Willie Lynch Band. Also on Saturday night Sept. 15, the 5:30pm Vigil Mass will include the blessing with the relics of Padre Pio. The festival will resume that night with a la carte food items, sold by our Knights of Columbus and other food vendors. The highlight of the evening will be a special free community concert by “Lights Out”, a nationally known Four Seasons Tribute Band. There will be plenty of great food and lots of fun activities at the Parish Picnic on Sept. 15. Performing at 2:30 pm will be the Willie Lynch Band, At 8 pm, the Frankie Valli and the Four Seasons tribute Band Lights Out will put on a free concert! The neighborhood procession will lead back to the St. Bede Campus, where there will be plenty of food and craft vendors. A special healing service with the relics of Padre Pio will be held after the procession. 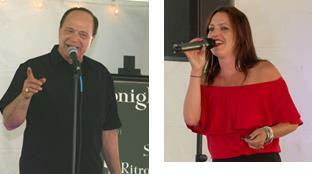 Once again entertaining on Sunday at the festival will be Sinatra tribute singer Steven Ritrovato and Jazz/Standard singer Jessica DiDonato. On Sunday Sept. 16 we celebrate Padre Pio’s feast day with a 12:30pm Mass, followed by a street procession and healing service, with opportunity for confession. We expect many pilgrims to once again join us. Father Keith Chylinski will be our guest homilist. The day will include food truck vendors, especially Maggio’s Restaurant from Southampton, providing a large array of Italian food, and popular entertainment which includes Frank Sinatra tribute artist Steve Ritrovato, and Jazz/Standards singer Jessie DiDonato. On behalf of Fr. Thomas O’Donald and Fr. Matthew Tralies and our Deacon Alex Pancoast, as well as the parishioners of St. Bede, I invite you to this extraordinary weekend. If you are travelling a distance, consult our website for directions, and know that we have plenty of free parking and buses will be welcome. 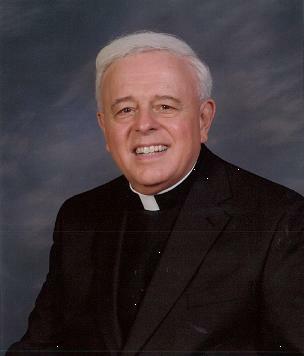 If you plan to bring a charter bus of pilgrims, please contact Patrick McNally at 215-357-5720 as soon as possible. Through the intercession of Padre Pio, may the Dear Lord watch over you and your loved ones, and be sure of our prayers for you and your intentions, especially during this festive weekend.